Sowchea Bay Provincial Park is situated on Stuart Lake which is popular for fishing and boating. The campsites are situated on the lakeshore. 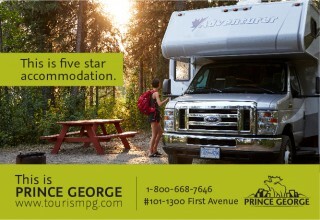 100 km west of Prince George on Highway 16 to Vanderhoof. From there, 55 km north on Highway 27 to Fort St. James and another 20 km west on Sowchea Bay Road.